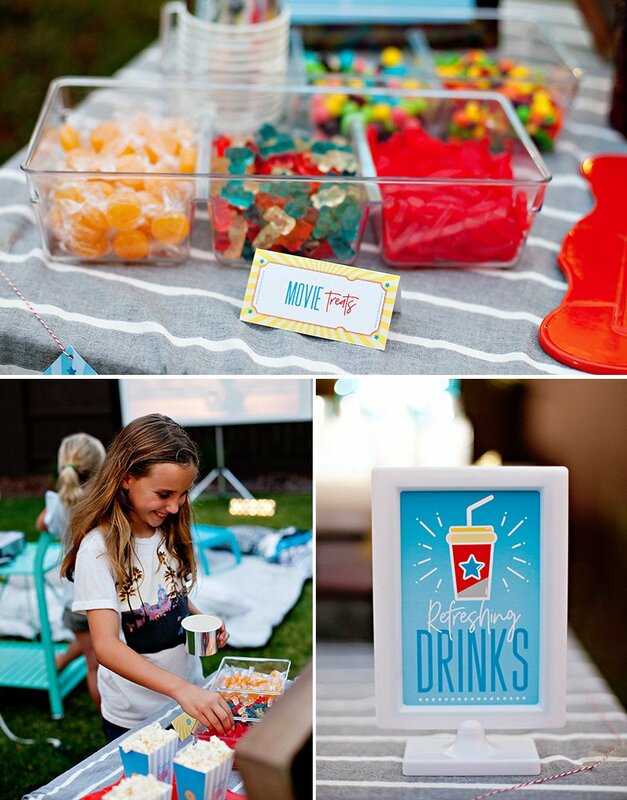 It’s been a while since our family has done a backyard movie night, so I was excited when JOLLY TIME recently asked me to design a set of Outdoor Movie Night Printables inspired by their new Simply Popped Microwave Pop Corn. 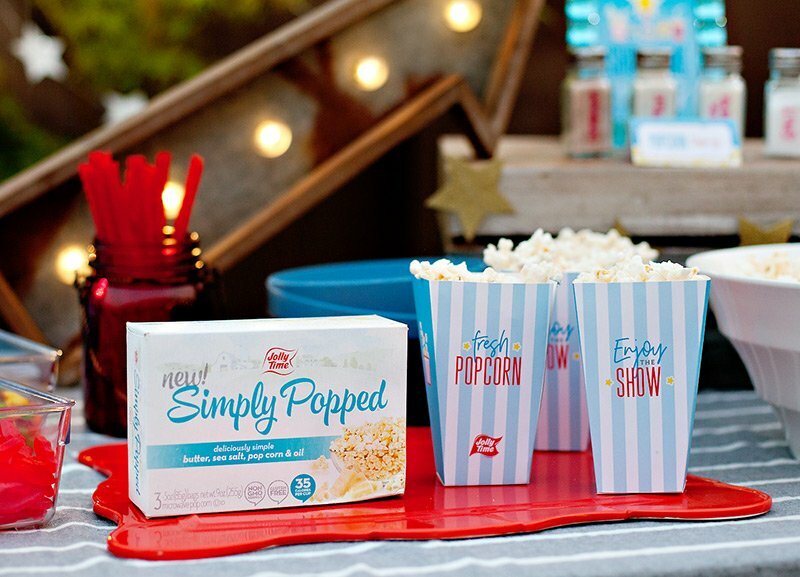 Personally, I LOVE the ease of microwave popcorn, and was happy to discover that Simply Popped is both super yummy AND made from just four simple ingredients: butter, sea salt, non-GMO popcorn, and oil. Hooray! Added bonus: turquoise/yellow/red (as seen on the package) also happens to be one of my all time favorite color combos, so this felt like the perfect jumping off point for a stylish collection of popcorn-and-movie designs! P.S. 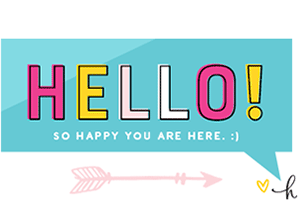 You can download the printables for FREE below. The one thing I didn’t want to do here was overcomplicate things. 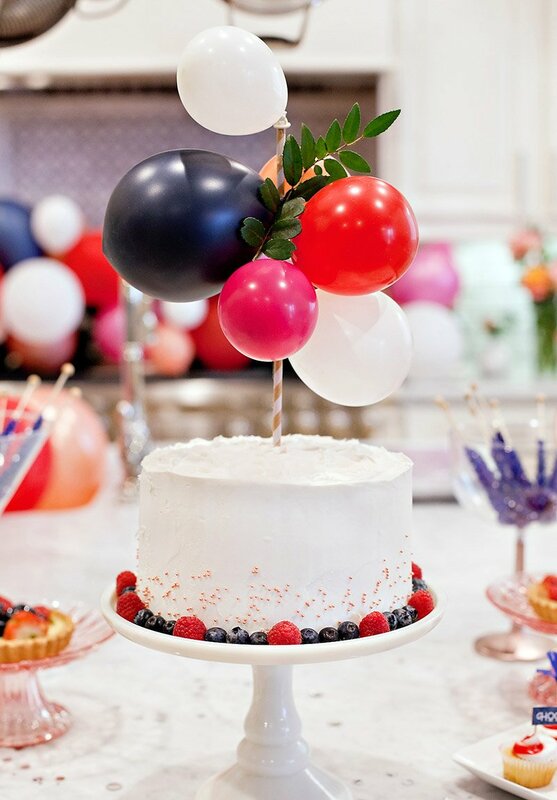 It’s one thing to want to make a night with your family extra special, but it’s another thing to overwhelm yourself with a bunch of things to make, buy, and do. Spending time and making memories with loved ones is always the most important thing! 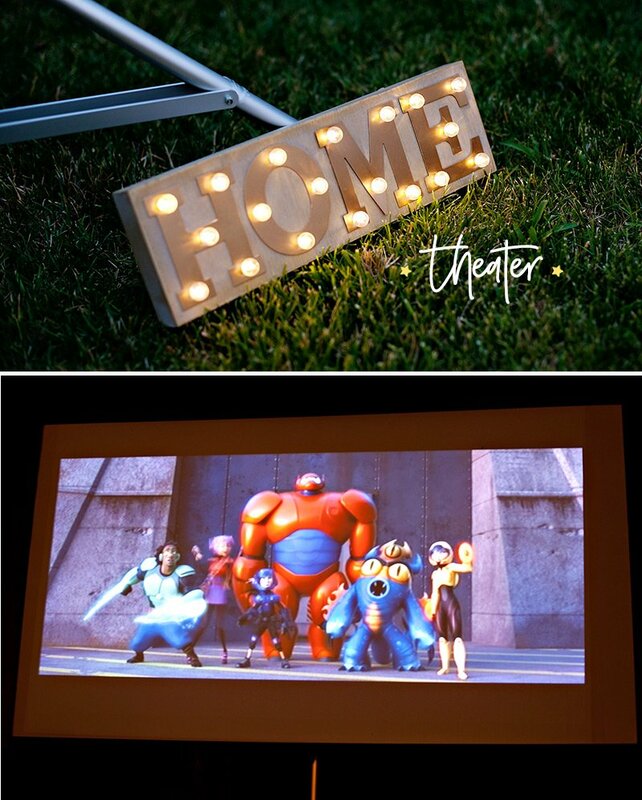 To take some stress out of planning, you can also download this Outdoor Movie Night Checklist that covers the essentials (screen, seating, etc.) 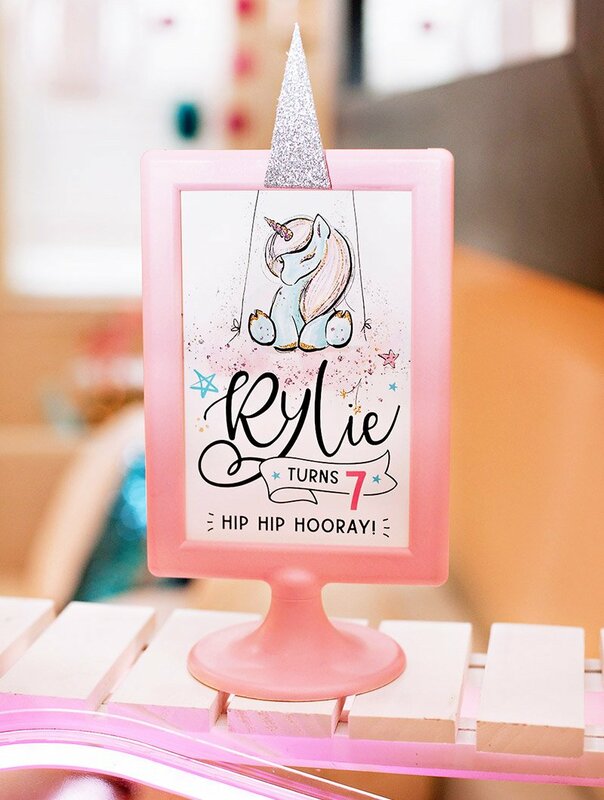 + has room for you to write in your own notes, along with a few suggestions for optional extras. 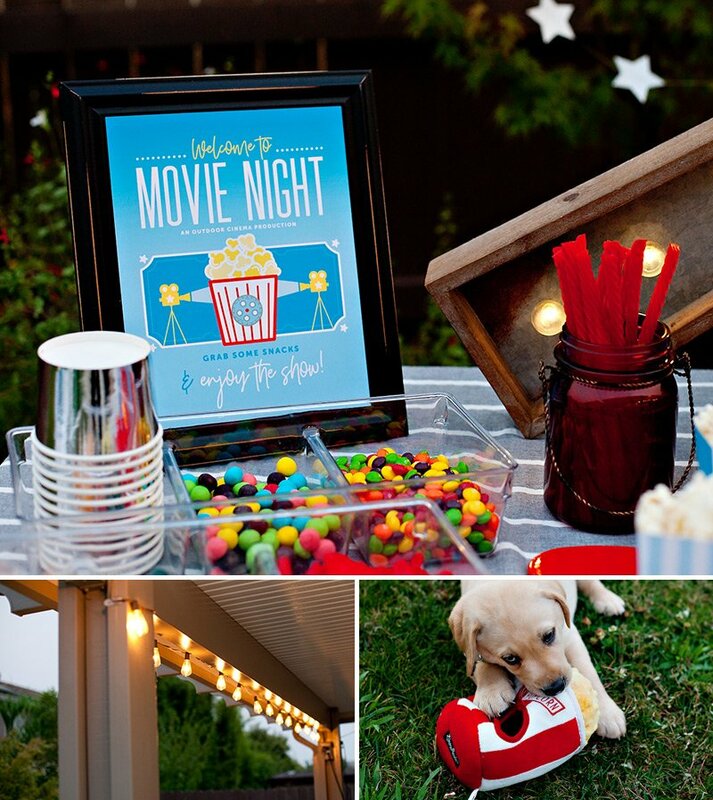 I kept the snack table pretty simple – because you really don’t need more than popcorn, drinks, and a few treats! Everyone in my family has a sweet tooth, so I couldn’t resist including some of our favorite movie candies in the spread, along with paper treat cups that each person could just grab and fill. 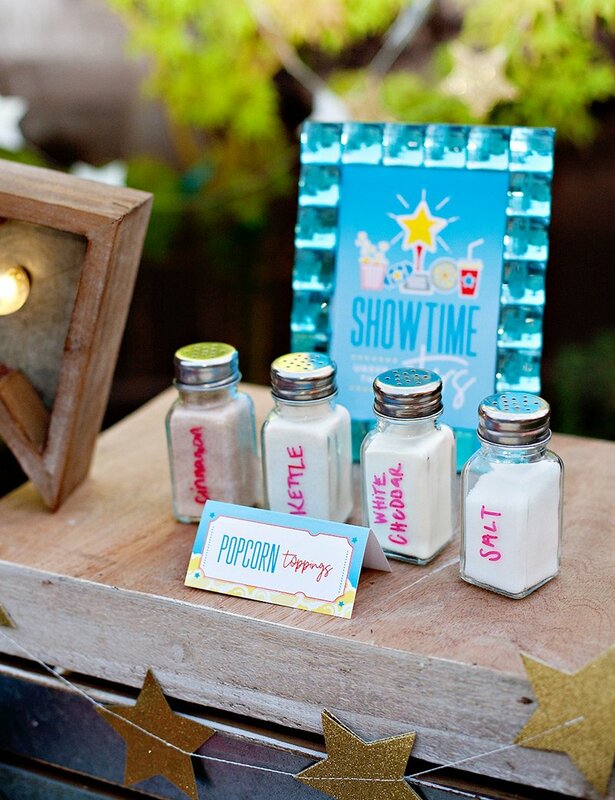 Both girls also loved the individual popcorn holders, which are included in the printables as well. They were the perfect size for them to hold and refill on their own during the movie. 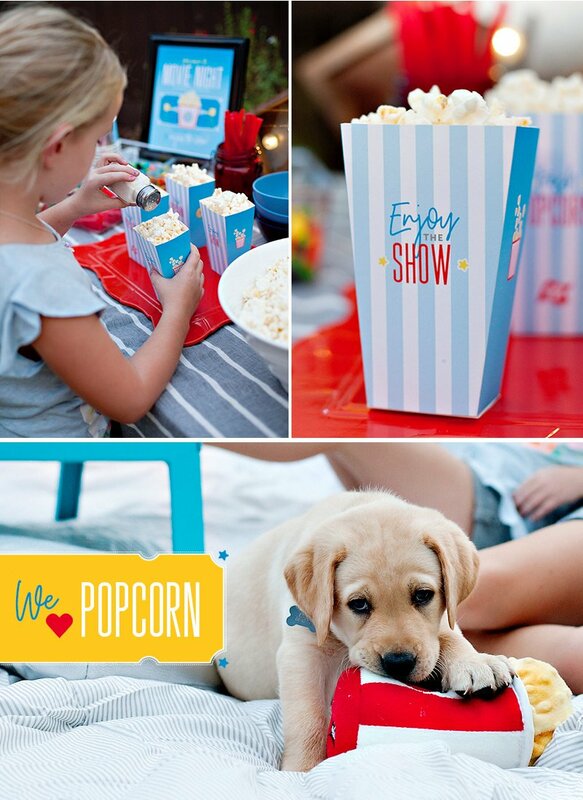 Our newest family member – Cooper – is still on a steady diet of puppy chow, but we didn’t want him to feel left out, so… popcorn bucket chew toy to the rescue! 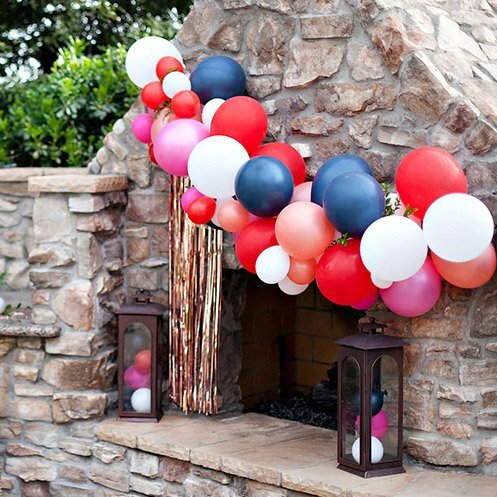 As far as the outdoor movie screen goes, there are a variety of routes you can go – from projector to DIY screen to flat wall. We already own a projector, so that was our choice, and it really did make things fast and easy. 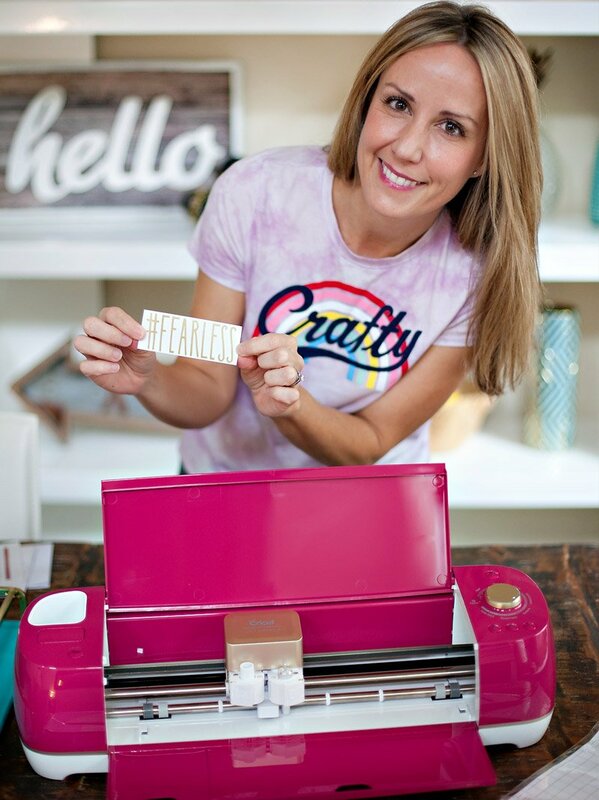 If you prefer to make your own screen, there are a bunch of good DIY tutorials and videos online that can help. For seating, we just grabbed pillows, blankets, and an extra comforter from the house. It was actually very comfy! I also set out one of our pop-up eating trays so that we had a sturdy, flat spot to set drinks (and to keep them away from the pup). And……. that’s a wrap. 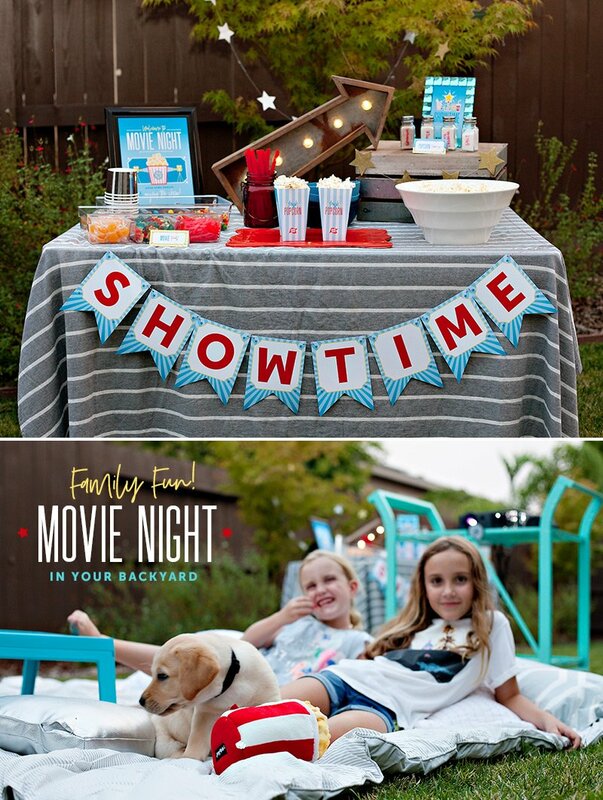 ;) Hope you’re feeling inspired to create a backyard movie night of your own! 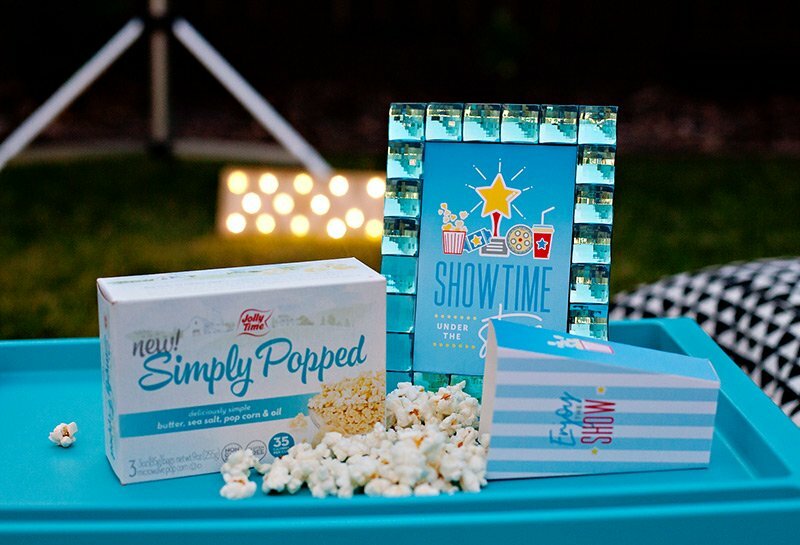 Thanks again to Simply Popped for inspiring this experience and reminding me how much fun outdoor movie nights can be. Our girls are already asking when we can do the next one and “What movie we should watch outside next?!“. 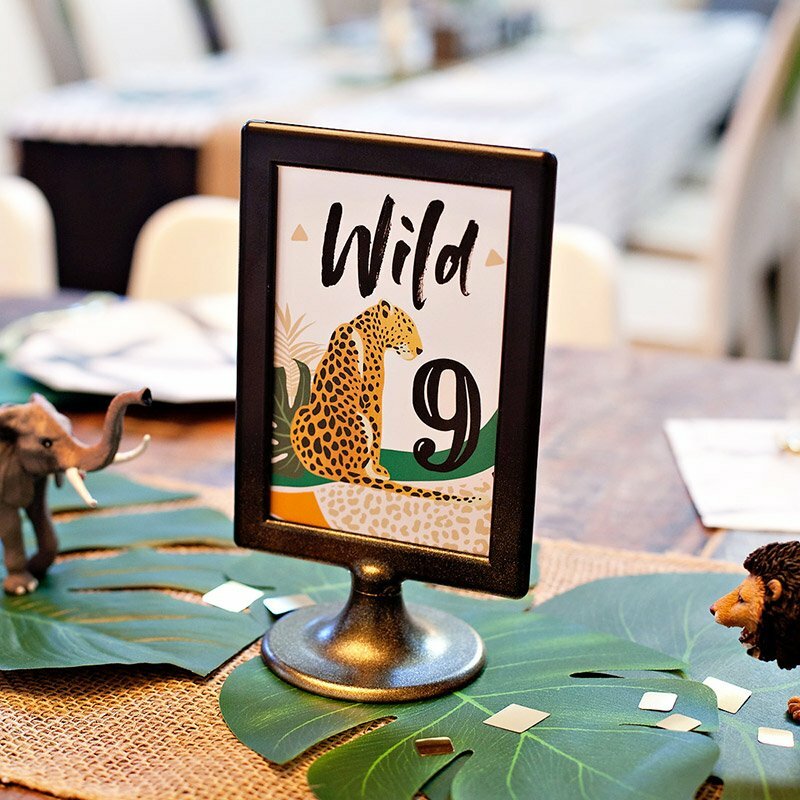 Don’t forget to download the free movie night printables below. Enjoy! Disclosure: This project is brought to you in collaboration with JOLLY TIME Pop Corn. As always, all thoughts, designs, and opinions are my own!